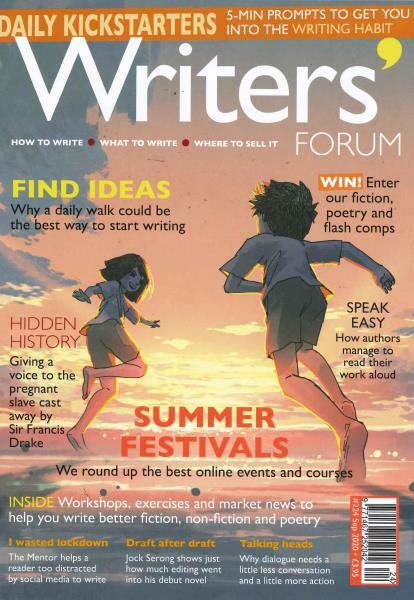 With 12 issues in a year, the Writers Forum magazine features the latest news updates from the market along with recent book reviews to make you understand various interesting techniques of writing. Writers Forum is not just a magazine but a guide for every aspiring author. The inspiring content of the magazine is specially designed by the experts to fulfill the dreams of many people who want to be writers. It is believed that if you cannot find something that you want to read, you should write it yourself. There may be a suppressed writer in you that need proper guidance to grow and flourish as a successful author. You can completely rely on the facts and information presented by the magazine to give you the best writing guidance that is backed by knowledge and real life experience of successful authors. Writers Forum magazine efficiently covers three basics of producing a book and they are how to write, what to write and how to sell your book. With independent focus on these basics, the included topical articles and journals are truly commendable. The Writers Forum magazine truly provides an interactive forum for the established as well as fellow writers to share their opinion. To continuously motivate the young writers, it covers the tips and tricks to improve your writing skills. The magazine even features workshops to write poetry, fiction, children’s book and managing self publishing. The Writers Forum magazine makes an exceptional gift option for anybody who is an aspiring writer and the magazine would keep them plugged with best of information and inspiration. Writer's Forum magazine is a fact filled publication offering help, advice and much more to writers at all levels. Good for tips and hints especially for short story writing.